I refer to the article by Michael Stivala, general secretary of the Malta Developers’ Association (‘Property prices: who is really gaining?’, August 1), which so obviously lobbies for more land to be made available for building by the government and others and for the Planning Authority and the government to be more generous to the MDA lobby. There are at least two aspects in the article that raise eyebrows. At one stage the correspondent trumpets the high percentage of home ownership in Malta as some praiseworthy local characteristic. In my book on The history of banking in Malta (Progress Press, 2006) I make it clear this infatuation of the Maltese species with il-ġebla (the stone), property owning, is evident of how limited and circumscribed is the Maltese mindset and an interpretation of il possidente, an owner. In advanced foreign economies this craze with owning property is much more circumscribed and citizens, rather than just always thinking of owning property, money and fat bank accounts, have a far wider conceptualisation of assets to be owned. They think, even at low popular levels, about owning shares and bonds, about investing in new businesses (either directly or through funds), investing in industry, agriculture, tourism, retail and service enterprises. The MDA finds it comfortable to ride on the prevailing ignorance and, worse, expects the government to support it in doing so. Stivala also urges the public and the media to refuse to be manipulated by environmentalists. Is this some sort of tacit admission that the awareness of widespread environmental degradation – awareness generally held by the vast majority of the populace – about the ever-increasing uglification of Malta, as is done by MDA members, is now biting home? 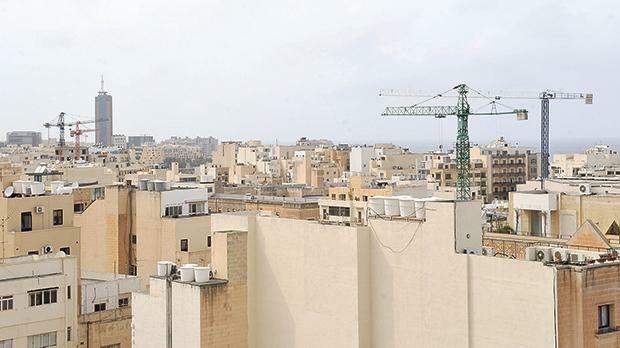 If Stivala and MDA members really love Malta, he should focus more on the construction industry getting smaller not bigger and the Planning Authority issuing fewer, not more, permits.